Are you often losing documents? Can't find that key report or that spreadsheet? Having documents get out of control does get crazy. We give you three big weapons in getting your documents in order and your business life organized below. Are you often losing documents? Is the report for that key client gone missing? What about that spreadsheet that management wants right now that you were working on last week? I know how you feel. Once you have more than a few documents, it can get really crazy. It doesn’t need to be this way, but “how is that” I hear you ask? You need a system for organizing your documents that is consistent across the many documents that you will need to handle in your business. Folders and subfolders are are a key weapon that you have in brining sanity to your document management. There are many places you could be storing your business documents, however nearly all of them allow you to create folders and subfolders. All the major cloud drive providers support folders and subfolders. You can go as many levels as you need. You are very likely to be using folders already. So what is the killer breakthrough when it comes to using folders? You need to use a systematic structure when you create and use folders. You want some sanity in organizing your documents? If you think about every business related document you make, you can sort them by two factors: 1) what is its purpose, and 2) what time does it relate to. Every document in business has some purpose, otherwise you would either have not have made it in the first place or received it from someone else. Most documents relate to a period of time. This could be as short as a day, or even shorter, or it could be for a year. What is a time relevant document? Your first big weapon in the quest to have organization in your life is the name of your documents. 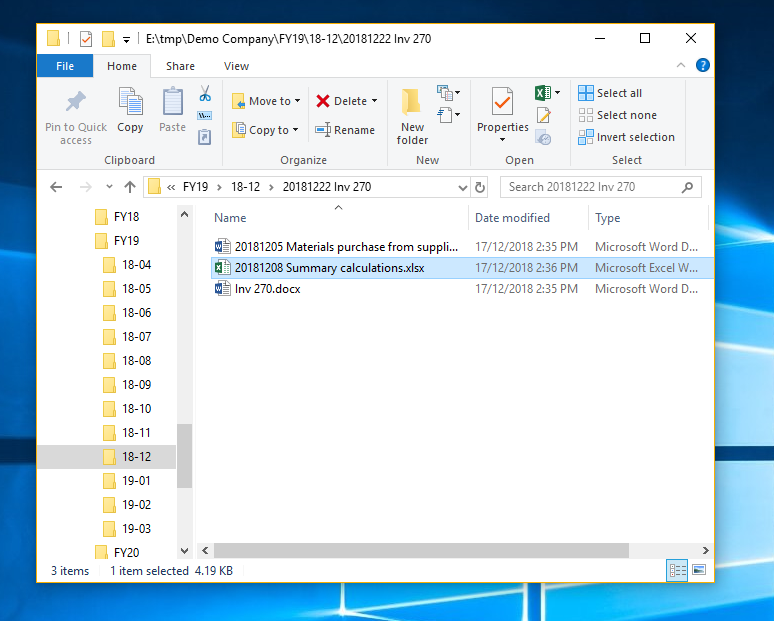 Have you ever noticed how computers display lists of files? You see these lists whenever you go to open files or you use a file browsing tool like Explorer on Windows or Finder on the Mac. Computers sort your files by alphabetical order. Numbers come before letters. How can you take advantage of this sorting order? You can be systematic in the way you name your files. We have already discussed that most of your documents are time relevant. Your invoices are issued on given days for example. When dealing with many documents, it can be quite handy to have the date in your filenames for time relevant documents. This allows you to see at a glance what date the document relates to. As computers will also sort your filenames by their contents, you can have your documents sorted by time if you put the date in the filename. You will need to put the date in the filename at the start. Consider the example below. Two of the three documents in this folder have a date prefixed in their filenames. Your next weapon in the war to get organized is how many files you should put in each of your folders. The key point is how much is too much? I have found 20 to 30 files is a good number. Once you have more than this, it’s time to start using subfolders. The great thing is, there is no limit to how many subfolders you can use. If you are consistent in your first level folders, then the order of your second and subsequent folders will naturally follow. 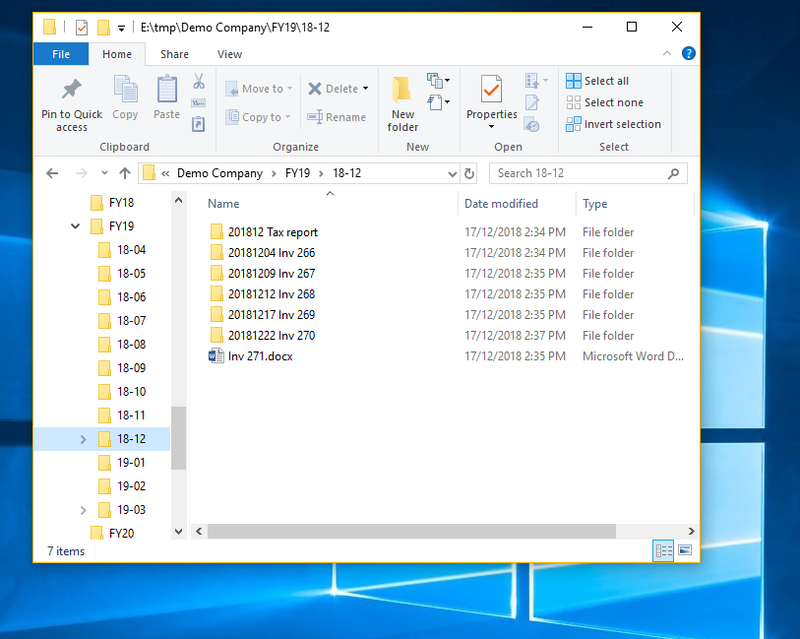 If you consider the file structure shown in the picture above, you may notice that I’ve used FY18, FY19 and FY20 for the first level folders. These correspond to fiscal or financial years of the organization. At the next level, I have folders for each month. I’ve called this 18-04 (for April 2018) through to 19-03 (March 2019). This example company has a April to March fiscal year, but use whatever is appropriate for your circumstances. If your organization only has a few documents each year – say you issue 10 invoices a year, you might not need month folders. A slightly larger organization could use folders for quarters, like Qtr1, Qtr2, and so on. You may notice that I stopped using dates once I arrived at the month level. I don’t think there would be value in organizing folders for each week or day. Instead, group documents by purpose once your time based folders are granular enough. I’ve created folders for each invoice in the current month. The organization also had to make a tax report during this month, and so the final report plus supporting documents for that report are collected in the “201812 Tax Report” folder. Have you ever come across a computer with the desktop screen full of folders and files? I have, and it gives me a big headache every time I see it. I’ve seen screens where it can take a good 10 minutes just to go through what is actually there. It can get even worse if there are so many files and folders that it doesn’t even fit on the screen. Try not to use desktop shortcuts for your applications. Modern operating systems have good menus and application shortcut bars on the bottom or side of the screen. For your most used apps, you can lock them on launcher bars. 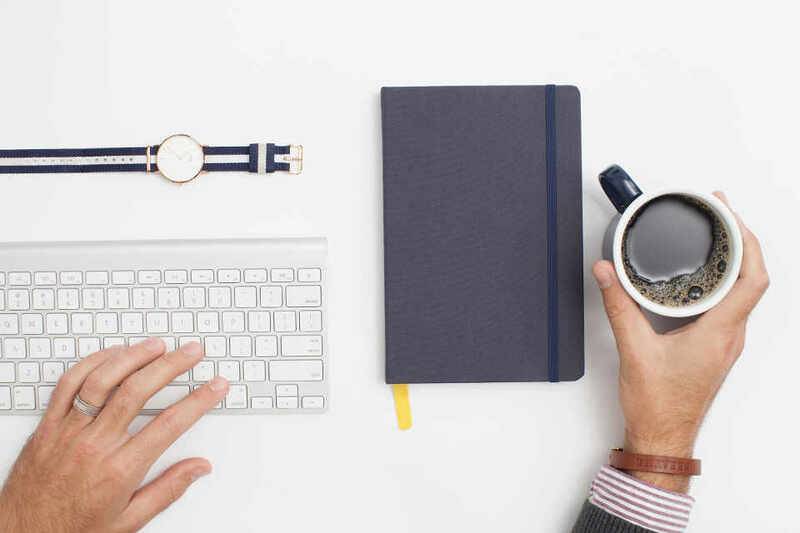 Check out What documents every business MUST keep [Essential Documents Checklist] for some handy ideas. What about you? Let us know any tips that you have in organizing your folders in the comments.